What’s The Law For An Uncontested Divorce in New York? In the state of New York, a couple can get divorced without the intervention of a court of law through a divorce agreement or settlement. As long as the parties agree about the future of their property, finances and children it will be referred to as an “uncontested divorce”. This is a quick process which usually does not involve the need to appear in court. Sometimes an uncontested divorce is referred to as “on consent,” as the defendant agrees to divorce with the signing of the required documents. Other times an uncontested divorce is referred to as “on default” as the defendant does respond to a summons with a notice that is served to them. If you would like to learn more about our local divorce process read this informative and to the point Divorce guide for residents of NY. 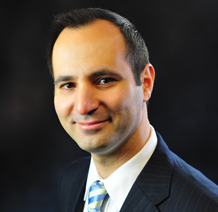 Nathan Pinkhasov is a Divorce Attorney in the Queens, NYC area. Nathan’s informative writings on Matrimonial & Divorce law are well recognized and published across the five boroughs of NYC.